Follow this tutorial and learn how to do this wedding & prom updo for long hair. Subscribe here for more formal hairstyles and updos for special occasions. Wedding Prom Updo Tutorial. Low Bun, French Braid. Formal Hairstyles. 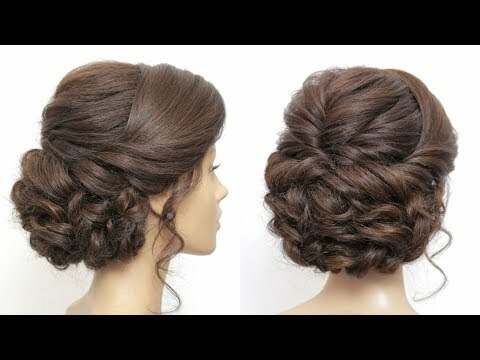 Wedding Prom Updo Tutorial. High Bun. Formal Hairstyles. Wedding Updo For Long Hair : Flower Bun. Prom Hairstyles Tutorial. 2 Wedding Updos For Long Hair. Prom Hairstyles Tutorial.